Glasgow based Travel Group Barrhead Travel have announced the investment of £1.5m to create up to 100 jobs across Scotland and the North of England to include agent positions at their contact centres in Larbert and Cumbria. The firm is creating jobs across cruise and telephone sales departments due to an increase in demand and are inviting applications from candidates with experience of working in the travel industry. Barrhead Travel chief executive, Sharon Munro, said: “As we grow and develop as a business, it’s vital for us to invest in job creation. “We continue to grow and develop our contact centre in Larbert and investing in the creation of 20 new roles comes in response to customer demand and the needs of the business. 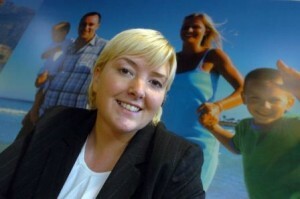 Be the first to comment on "Barrhead Travel on recruitment drive at Contact Centres"